Heavenly blog! : No. 1307: Child welfare staff, police and other public officials / women can do so much evil and gærnt they want, they will never be held accountable for it anyway! No. 1307: Child welfare staff, police and other public officials / women can do so much evil and gærnt they want, they will never be held accountable for it anyway! Child welfare staff, police and other public officials / women can do so much evil and gærnt they want, they will never be held accountable for it anyway! Has received many inquiries regarding the matter between me and hatpastor Jan Aage Torp and hatpoltiet on Manglerud. It's going to happen now, if I have to follow my "gut feeling." So it is for the court proceedings in Borgating Court of Appeal. If it goes the way I think, so the case will be sent back to the Oslo City Court? Or so the case will come up in the Supreme Court? And there from are at least three possibilities. 1) I will be acquitted. 2.) The judgment against me are sustained, and then anyone writing today lie of trouble. It will be Norway's history's most false and dangerous judgment when everyone who writes on his blog, send emails etc. Can be penalized if someone feels crossed! 3.) There is only hope that Oslo Polti wake up and see that the whole thing is staged by star psychopath and mockery apostle January Aage Torp to remove me and the Heavenly blog due my preaching against remarriage of preachers! 4.) Jan Aage Torp, Ansgar Braut and Torodd Fuglesteg are punished, then justice stuffi! Pray for me, family, my ministry and the matter dear friends and brothers in our common faith in Jesus and God! In my eyes, this group here defending Jan Aage Torp by all appearances should have been deprived of their own children had the knowledge we have today about Torp. So it had been done! The undersigned has followed Naustdal case closely, and made me know WHAT that have occurred from the Police page! Police Attorney Sissel Kleiven Sogn og Fjordane police, which has now advised to take out an indictment against Ruth and Marius Bodnariu for "educator violence", was responsible for the decision to send 4 (four) uniformed police officers to Bodnariufamiliens home, to remove a BABY at 3 months. from his mother! This is in my view for the first ROUGH police violence, physical and mental, and secondly indisputable disqualification from police lawyer his side! This MUST in my opinion get the result that police lawyer even being REVIEWED for unlawful interventions and attacks on the family, with the serious consequences this has had and still have for kids and parents! In other words, here violates police Norwegian law, the general sense of justice and is to run over a well-functioning family with it result that they are escaping the country. What happens next? Guaranteed no madness here by both police and CPS. In many ways, so it is charge up in Norway, officials are almost never punished for something they do in service only if they do something in the parlor. This is much to say about, but only in my case I see where the rotten police. They emphasize what I have written - crowd. That 99% is written from Jan Aage Torp's fictional review - that makes the review also to Torp was false. It jumps the completely proven buck over and get it to look like something completely different than it is. I have answered others on my own blog, who has written on behalf of Torp. What we never hear talk about anything to get taken me. Police are really inept, rotten and criminal, but they get unfortunately allowed to keep on as they please. But as a Christian, I know that God will take care of these wicked and unjust people. But pity those who will fight dignitaries without being able to go to the living God, it must be heavy! Here is a resource couples who works both with regard to jobs, to other people and their children. Who has staked everything on their homes, but they have been a slap in the picture has nothing to do with violence to do. It's getting a mold to be an elephant, or the one the shore are 10 chickens, lies and manipulation is this, and it's CPS and police who are robbers and criminals here, everything gets turned on its head as the scripture says. Prophet says woe to those who turn everything on the head, as dignitaries in Norway do time after time. And are never punished or it will have consequences for those! In many ways it is the system here in Norway pillråten when such things can take place again and again, and year after year without anything happening! In my case between me and Jan Aage Torp has the Rabla completely for Polti and Oslo District Court in my eyes. It will judge me after paragraphs of law that deals with people who seek others. The so-called telephone section, where a seek competent, contacting or otherwise threatening. Paragraph 390 a: Whoever by intimidating or harassing behavior, or other reckless behavior violates another's peace or accessory thereto is punishable by fines or imprisonment up to 2 years. I have done exactly the opposite, I have never ever visited the Jan Aage Torp. But he has sought me. That he chooses to click onto my website and read what I write there. When there is a choice he does, then it tells clearly that this matter really has only two exits. 2.) The case is sent back to the Oslo District Court and Polti must then start all over again. In other words, they have no case! Here is an article that explains how the Oslo police, or police on Manglerud stands. They even violate Norwegian law, and that in my case. Where they make a case for a law that deals with something completely different! Police on Manglerud Police have actually made every mistake it's possible to do in trying to take me and get me punished! 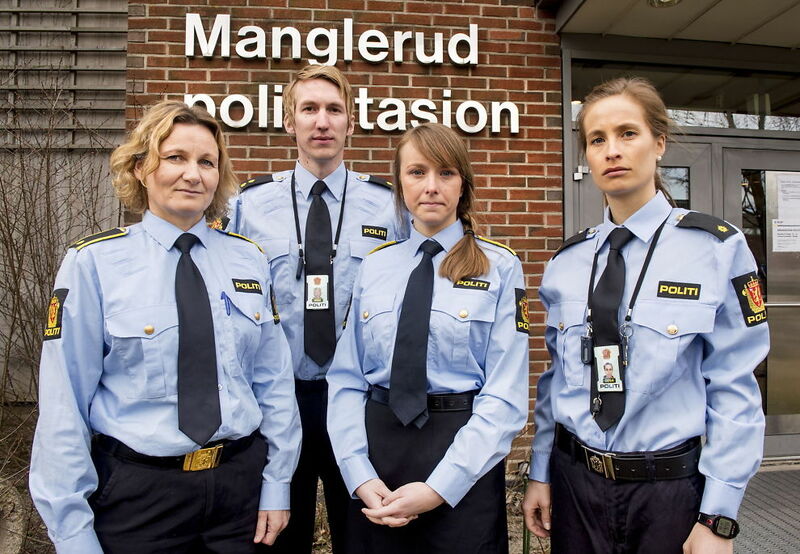 Police on Manglerud police are a threat to the rule of law in Norway? They threatened me with a fine or imprisonment of 3-4 weeks. Whatever they threaten !!!!!!!!!!!!!!!!!!!!!!!!!!!!!!!!!!!!!!!!!!!!! !!!!!!!!!!!!!! I had not accepted or accepted if it was $ 1. or 1 Million in routing. Or 3 days, 3 weeks or 3 years in prison. Everything turns on the head and will take me that is 100% innocent, but those who are guilty here, they stand on their side against me! My confidence in the police in Norway is good, but Manglerud police chamber with the people I have met and who have tiny at Jan Aage Torp's fictional review of me I have no trust and respect. They are in my view a danger to the rule of law here in Norway! Here are they strong mental unstable people this Torodd Fuglesteg show off online to write in my name. Torp has come with a fictitious review as they have tiny on. One or more people have written to me and my wife's employers where it was the number before it became an armed police raid. All this could have been avoided if they had listened to me from day one that Torp has made false accusations against me to get me removed from Google's search engine. It's like an experience a police from a dictatorship government which completely run over one and all healthy and democratic rules are put aside! In the past I've had and have a feud with Manglerud Police which will drag me to the district court. I think all that I have written, comes under freedom of religion and freedom of expression. Even Torodd Fuglesteg who wondered VG 2008 with a rakfisk history has also created a blog in my name. 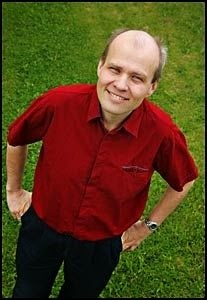 In familiar style as a poet he up everything, but this person and everyone else stands Manglerud police load tees with. I told them in advance that this here is nothing crooked words from me or anyone else this is about, but a spiritual struggle in which it is my view. Or rather, biblical view of divorce and remarriage it all revolves around and is all about! It had to go gærnt! What it all started with was "Pastor" Jan Aage Torp hatred against me and the Heavenly Blog. When "found" him some words which were far milder than what he has used against homosexuals and many others (myself inclusive). Image of "Pastor" Torp who really is the origin of all the misery. It realize of course not the police who are not born again and live with God, even if they try. Torp fornicators, keeping with such a person creates ripple effects. It's like throwing a stone in water, which makes several other rings. So it is with sin, the begets sin. Here there is obviously other people coming in under darkness influence through this now corrupting the people sitting in positions of power and who do not have slightest idea what is really going on. This is a spiritual battle that takes place regarding divorce and remarriage, it can not be combated in any other place than in the living God and among living Christians. Afterwards this so did Manglerud one of its many bomskudd. Not only "believed" those at Torp, although it was a fictional review. His goal was to get a judgment against me and then go to Google to decimate me and the Heavenly blog. After the saw has it that police Manglerud took out an indictment against me that is so inept and ugly it is possible to have remained, we have become fair game for anyone other than Torp. Actually, this is uglier than what Torp has done, even though we have prosecuted this so we are not taken seriously and this is emphasized by the police on Manglerud. It is a tragedy and tragic! What police do not know and have no way to understand is that such an unclean life Torp has with him living in sin, adulterer and a fornicator by Scripture. He frolic in sin according to God's word. Then open it again for other forces. I call it viber. By that I mean that when getting spiritual forces operate freely in other open to the darkness that lives and is in Torp. This is obviously not unsaved police any opportunity to understand and it is obvious that they do not realize it either! Here one must be saved, born again and having the ability to squint Spirits is one of the nine gifts mentioned in 1 Corinthians. 12. Something I have and therefore I have also "control" over the situation from day one really! Posted: 8 April 2015 7:07 p.m.
Hi Denise and thank you for last. You and Jan Kåre is so fond of Anders Behring Breivik and believes that his killing of pups was good and fair. You should not shoot children with the revolver you have with you so that you admire did a few years ago? There are lots of AUF in your school. I just wonder and recommends that the principal takes away the revolver. 1) You have a gun with you in your purse wrote your husband Jan Kåre. We've never had anything more than a water pistol at home, so this is a lie from a to z. 2.) You and Jan Kåre is so fond of Anders Behring Breivik. Put us in with this terrorist and mass murderer is the world's largest bomskudd, kinder person than my wife and me finest not! 3.) Consider that his killing of pups was good and fair. Killing is never good, it's 100% against everything we stand for! 4.) Do not shoot children with the revolver you bring to the admiring did a few years ago? There are lots of AUF in your school. My wife has never and will certainly never go with a revolver in her bag. But through what we have gone through so one may feel unsafe, especially as a woman. This is just a natural reaction when police Manglerud is so incompetent and not doing the job they are set to do. 5.) I just wonder and recommends that the principal takes away the revolver. Here mixes again totally innocent people, which police Manglerud ignoring again and again! We should be, not anyone else! Police on Manglerud course had no prerequisite for knowing what it involves living in sin, not least for a "Pastor". This again creates ripple, where sin begets sin. This is a spiritual law, and spiritual things realize themselves not at all on! At Torp can say that which is "good" does not matter when it comes to spiritual, ethical and moral thing. Here are the hard facts, one-word of God teaches or not? This being "Pastor" and be a pattern to the flock is really Torp. Therefore these attacks on us like family! That it is completely safe far worse, not least legally. That the police ignore it completely proven also show their incompetence and lack of being properly policemen. But that said, one often follow others with it! It is hopeless to report more, they should take me and my family. Cost what it will, if they break even Norwegian law, common general behavior and or whatever it is! Why do they call themselves hatkriminell group of Manglerud when they really stand for it yourself? It stands in one of the mountain code, it is allowed to turn! The police may also here do get arrested those who are really criminals? It is well too much to hope for? The opportunity is certainly present, even!